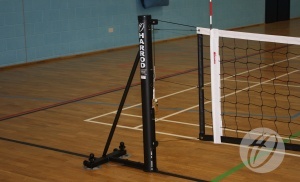 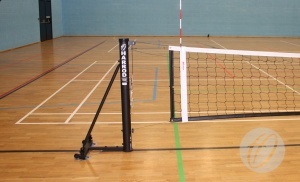 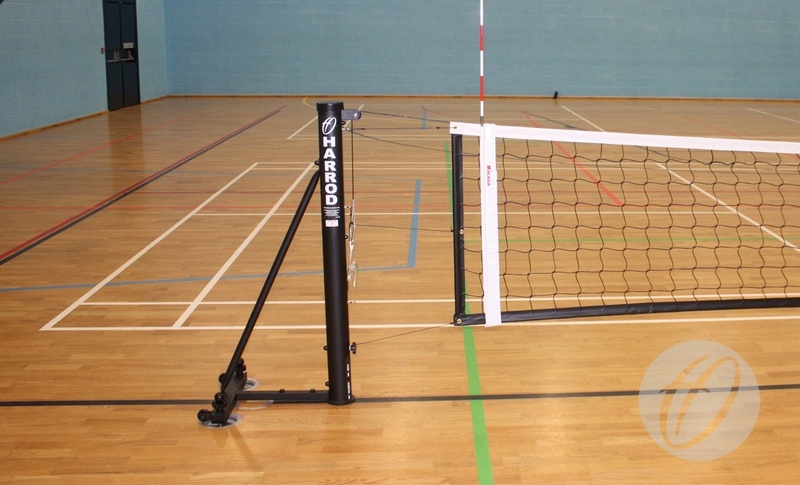 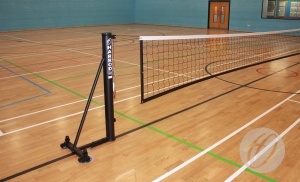 Sitting Volleyball Posts designed for both practice and play. 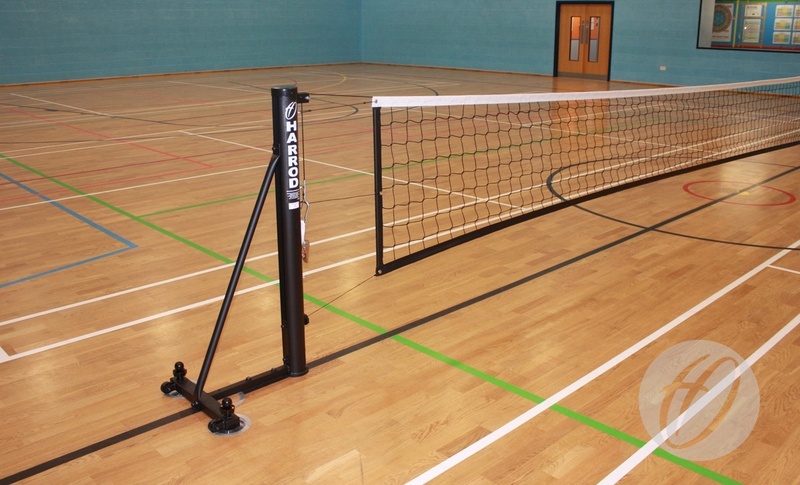 Sitting Volleyball base is made from 31.8mm square box section and 40mm x 60mm mild steel box section. 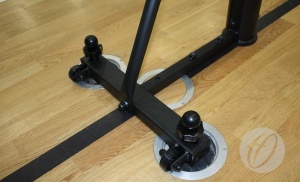 Brace is made from 31.8mm tubing flattened at both ends.